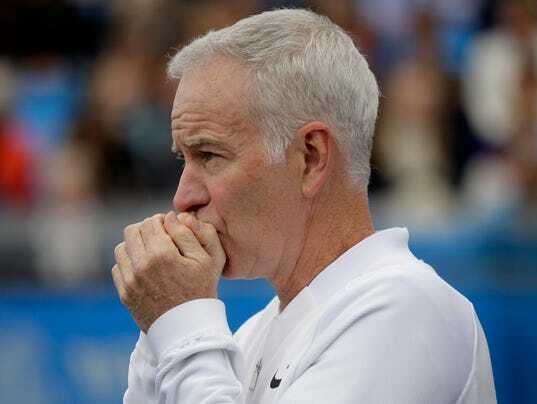 John McEnroe isn’t willing to apologize for his controversial remarks about Serena Williams. Corrections & clarifications: A previous version of this story included an incorrect age for McEnroe. John McEnroe owes the world an apology — and now. He was wrong when he said Serena Williams would probably rank around No. 700 in the world if she were competing against men. Her ranking would be more like No. 1,000. There is no reason to draw such comparisons and unnecessarily diminish Williams’ unparalleled accomplishments — including the record 23 grand slam singles titles — and legacy in women’s tennis. But there’s no reason to deny the truth either. She would have no chance of beating the top men’s players or, for that matter, the challengers or the also-rans. Although Williams might have the athleticism to match some of the men, she has never faced anybody on the women’s circuit who can match her in those terms, and thus her skills lag behind the men.